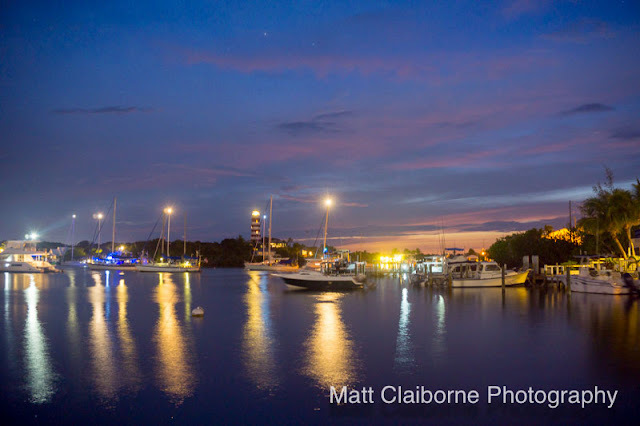 With its candy-striped lighthouse overlooking a protected harbor full of happy sailors, the settlement of Hope Town is the perfect island getaway. A twenty-minute ferry ride from the larger city of Marsh Harbor brings you to the idyllic town, which is situated on tiny Elbow Cay. The town’s pedestrian-only roads are lined with charming, colorful cottages and friendly shops. The ocean surrounds Elbow Cay. A beautiful, white sand beach fringed with turquoise blue-green water awaits visitors on the eastern shore of the island. Snorkeling, diving, and fishing are all great ways to enjoy the spectacular reef system that surrounds Hope Town and the other islands of the Abacos.